How does the Twitter contest work ? 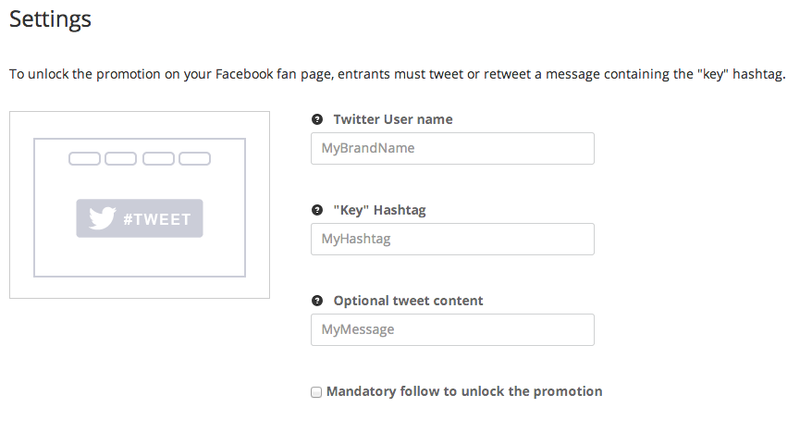 With this type of promotion, visitors have to tweet or retweet a message with a “key” hashtag you choose. Then, they can enter the promotion installed on your Facebook fan page after they also like your page. This promotion can be a sweepstake, an instant win or a quiz. Connect Twitter and Facebook into the same promotion ! How to set up my Twitter contest app ? This is the name you use on Twitter for your brand. Insert your name without the “@”. The hashtag are used to mark keywords or topics in a Tweet. 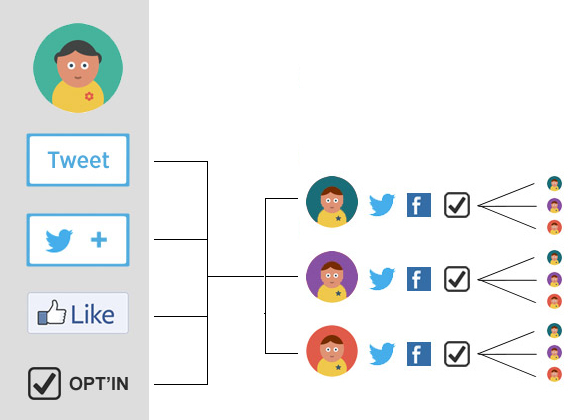 For your Twitter contest, this hashtag is used to unlock the promotion which is installed on your Facebook fan page. Please insert the hashtag without the “#”. In addition with the tweet/retweet, you can add mandatory follow to your Twitter account to let visitors enter the promotion.